We know that your job as Race Committee is a lot of work. There are times when you when you just want the regatta to be over so you can sit back and enjoy a drink with the guys just off the race course. 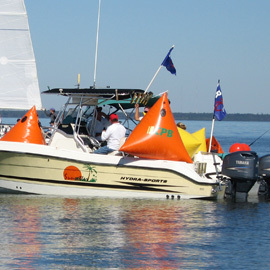 By providing modern regatta management tools, we are making your life easier and letting you get your job done faster. Setting up a regatta website, taking credit card payments, posting results online quickly... These tasks require special tools and resources you may not have at your yacht club. Or maybe you do, but you want something better, more consistent, and more features. nextSailor provides the tools you need to quickly and painlessly manage your next regatta. Features for Race Committee Attract more sailors to your events by providing the tools and features they have come to expect. Widgets you can drop in to your website and a Facebook app to make your registration and results available in more places. nextSailor gives sailors more ways to find your regatta. From emails, geographical searches, and social media, you will be easy to find. All nextSailor regatta pages are designed to work great on the latest smartphones and tablets. Your racers and spectators will appreciate being able to register and view the notice board on their mobile device.